Are you moving and just think that you can pay for things as they arise or as you go along? This is the wrong thing to do folks. This way will cost you more than you could ever imagine. You need a bit of financial management. It's not hard. The good way to manage the moving costs is to understand all potential costs involved with your move. Here are a few tips to consider helping save you money and manage what you have left. Get Estimates for the way you want to move. Compare them to other forms of moving. You can choose to move and rent a moving truck or rent portable storage containers, where you pack your stuff into containers, and the movers relocate the packed container for you. Either way is a great option. It just depends on how much work you are willing to do yourself. If you are opting to hire professional packers and movers to handle the entire job, then you need to arrange for your choice company to come and assess what you're bringing. Make sure your estimate clearly defines what all that is included with that offer and what is not. Don't make the mistake of expecting movers to show up and unhook the washer and dryer or refrigerator for nothing. Those are additional costs. 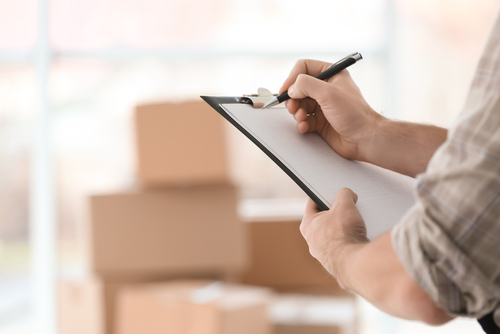 If you don't cover those costs during the estimate assessment phase, you run the risk of being overcharged by the movers on the actual moving day. With a professional door to door moving service, you still have the option of packing up your house or apartment contents yourself. Be sure you have the additional moving equipment on hand. This equipment includes packing materials, furniture pads, and dollies. You don't have to have them do that part of the job. The more you do, and the less the movers do, the cheaper your cost. If you're moving intrastate then moving costs are not going to be as high as moving interstate. If you're leaving your state to consider the following that may apply to you and consider in advance what charges apply and budget for them; such as air travel or rental of an extra car. This type of long distance move has many hidden costs including the cost of food, gas, and possibly hotel accommodation. Another moving related cost is the potential storage facility you might need if your new location is not ready for you to just move in. If you know this well in advance then to save you the trouble of hiring movers to pack your home just to put your tuff into storage to then having to rent and another truck to get your stuff out of storage will cost you two times over. Let alone the grief and stress. Consider using moving pods so that your stuff, even though id in storage, is in a container that doesn't have to be packed up again. Moving from one house to another can be a hectic experience if you do not plan in advance. You could end up damaging some of your most valued items. You could also end up making too many trips because of failure to package your items in such a way that they can be moved in just one or two trips. If you are one of the people who has changed their residence from one estate to another, you probably understand that it is possible to underestimate the magnitude of the items that you have to move until the actual moving day comes. If your items are disorganized, you may end up paying more for moving relatively few items. Here are some tips for moving. It is important to write everything down. This will help you not to forget some items in your old home. Not that it is very easy to leave behind items such as lawn mowers, sprinklers or other items used in the garden. The list can also be helpful in ensuring that every item that leaves the old home reaches the new destination. You can also prepare a list that identifies the various packages or boxes that you use to carry your items. This will ensure that each box or package is offloaded where it is supposed to be delivered. Many house movers recommend that you should have plenty of boxes in which to pack various items such as stationery, utensils, shoes, balls, medicines, clothes, bedding and so forth. Having many boxes will make your life easier since you will be assured that each item will be packed safely for transportation. You can use your boxes, such as those that carry the groceries you buy. You may also opt to buy boxes from the moving company whose services you intend to use and return unused boxes for a refund. You also need packing tapes and strings to secure your boxes. Newspapers may also be required to wrap items such as cushions. Wardrobe boxes are tall and ideal for carrying lightweight items like pillows, comforters, cushions and clothes that may not fit in the boxes. If you have several wardrobe boxes, you need to make an estimate of how many extra boxes you will require to carry your items. Other materials that come in handy for carrying your items include shoe boxes, closet storage boxes and gift wrap tubes. It is vital to use differently color-coded boxes to carry similar or related items. For instance, kitchen boxes can be carried in a box that is color-coded blue, clothes in a box coded with red, and so on. This will not only facilitate ease of packing but will also ensure that the boxes can be arranged in the truck based on the items that they contain. Remember that boxes with fragile items like glassware, blenders, juice extractors, food processors and so on will demand extra care.